New Media Guru has more than 85 experts on staff, all of whom can help you leverage the cloud to improve your business performance. The cloud can aid business growth, lower your IT costs, and provide a supporting infrastructure that can be built upon in the future. Help you make use of Amazon cloud computing for a cost-effective and flexible infrastructure. Access infrastructure that can grow with your business. Make complex infrastructure simple, regardless of whether it is for a business website, a web 2.0 platform or a CMS. We can help you make use of services such as Amazon S3 (simple storage service), great for providing redundant storage, and Amazon EBS (elastic block storage), used for block storage. Automated backups protect your applications from disaster. CloudWatch enables you to monitor your services and get to the bottom of faults quickly. Access Infrastructure as a Service (IaaS), Business process as a Service (BPaaS), or Software as a Service (SaaS). Cloud-based eCommerce solutions that integrate ERP, MySQL databases, S3 buckets and AWS instances – get all the latest development technology working for you. EC2 instances, CloudWatch and CloudFront help you manage your lifestyle business effectively. Scalable solutions reduce your risk and complexity without reducing your effectiveness. Hosting such as Amazon Cloud Drive and Amazon CloudFront Content Delivery Network can deliver your content quickly and easily. A bespoke cloud solution is ideal for supporting a website in the hospitality industry, making use of technologies such as S3 buckets and scalable cloud solutions using EC2 EBS with Snapshot and AMI support. 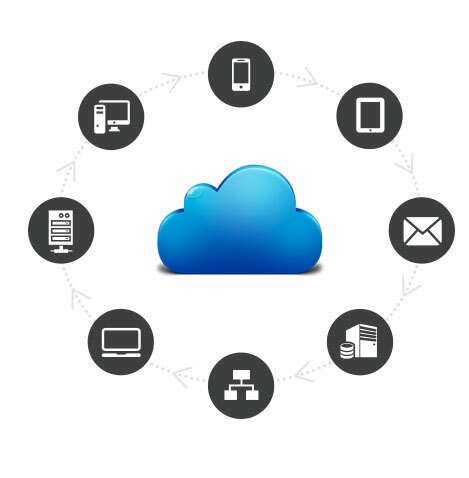 We provide cloud-based solutions for both simple and complex social network websites. We focus on delivering scalable distribution and storage systems. Scalable, dynamic fashion websites allow business to share, manage and create color applettes, samples and more. Scaling allows for a low expenditure upfront while allowing your business to grow. Host your GroupOn website in the cloud on high speed, high efficiency EC2 cloud servers. Crowdsourcing sites require scalability and flexibility to support them as they grow and adapt. As you gain more supporters you can use that money to increase your capacity and grow your business. Varied storage options including Amazon S3, Glacier and EBS allow you to host everything from media files to storage for backup, archiving and data analysis. Your business should have a backup for operational, legal and security reasons, access a backup infrastructure that is easier to use with a simple subscription pay model. Scalable cloud services like Amazon S3 allow you to increase the request rate, storage and number of supported users as you grow. Are team are also proficient in Amazon EC2 and Amazon Workspaces. The cloud is ideal for content storage and distribution. We can help you build and control your entire business infrastructure from the cloud, allowing your whole business to scale.